insurgency, flood, windstorm, dry spell, early cessation rainfall, invasion of predators (fall armyworm, locusts, pest and insects) and communal conflicts, an organisation is mobilising for a one-million-man march to sensitise the people, especially the youths, on the negative effects of violence. country to create jobs and train people in areas that will empower them and thus boost food security. 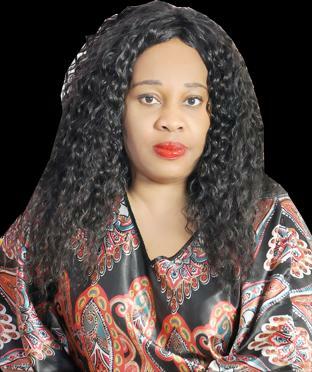 The celebrity chef author of the ‘Dishes of Africa’, who has appeared in many television shows in the US and across the globe, said Ngozi Kitchen was borne out of her love for mankind. ‘Dishes of Africa’ is sold in book stores, online, retail stores all over the world in different languages. According to her, Spain, Kingdom of Morocco, South Africa, Portugal, Algeria, among others, are collaborating with Ngozi Kitchen to boost food security. “The government of Spain, through its initiative with farms and retail giants, is partnering the Federal Government to address household food nutritional security through subsidized food items. Hidden hunger persists in Nigeria and Africa because of the lack of knowledge of the right foods to help our bodies. A healthy nation churns out a healthy workforce”, she said. Saying she had also been featured in a journal specialising in food on the benefits of the Mediterranean diet, emphasis on olive oils, pulses, vegetables and lots of waters, Kachikwu stressed that President Muhammadu Buhari found her recipe very useful as a home economics guide to unite schools all over Nigeria. “He (Buhari) used the opportunity of his position as the Chairman of the PTDF to recommend the recipe to the Ministry of Education. It was endorsed and recommended in writing”, she stated. The Ambassador of Investments to a region in Spain and Ambassador of Goodwill to former President Bill Clinton’s state, Little Rock, Arkansas, US recommended cooperation to curb malnutrition in Nigeria with over ten million people suffering from ailments based on lack of proper foods match.